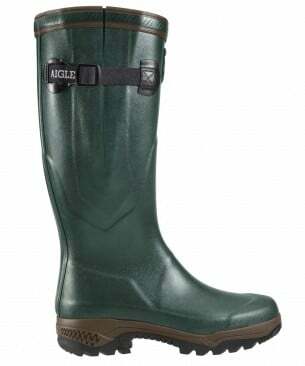 The Aigle Parcours have been described by many as the ultimate country boot combining the comfort and fit of walking boots with all of the advantages of rubber boots. The complete Aigle Parcours range features a narrow ankle fitting which offers both support and retention to the feet whilst walking. The unique dual density sole further enhances this support by providing front cleats which are rear facing to offer improved grip when climbing slopes and rear heel cleats which face the opposite way to do the same on declining slopes. The sole on the Aigle Parcours is also shock absorbing and abrasion resistant. If you’re looking for something a little warmer, take a look at the Aigle Parcours 2 Iso. The upper is crafted from a GOMMA PLUS® compound, which is specially formulated to give long term resistance to natural ammonia, ozone and storage related ageing. The tightening gusset with adjustable strap is waterproof to allow for comfort whilst not compromising the practicality of the boot. The 4.5mm neoprene lining is incredibly insulating and helps to maintain a constant temperature. 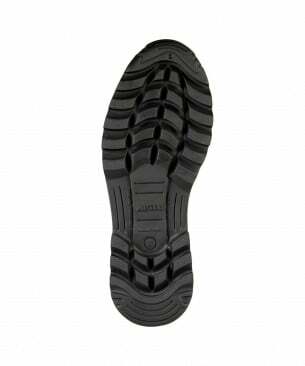 The 3 density natural rubber sole provides cushioning, absorbs shock and helps to regulate temperature on cold ground. 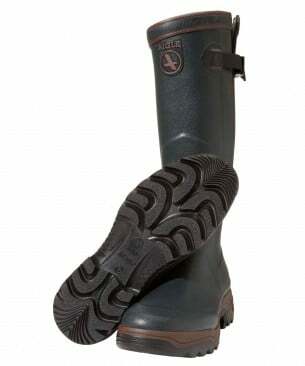 An all round fantastic country boot which excels in colder conditions. The Aigle Parcours 2 Vario is similar to the Parcours Iso above, still handcrafted from the GOMMA PLUS® compound for added strength and flexibility andwith the same 3 density natural rubber sole for cushioning and shock absorbing ability. The main difference between the Iso and the Vario is that the Vario doesn’t feature the neoprene lining, instead it features a quick drying polyester lining with a sanitised anti-bacterial treatment. Ideal for those who still require the support but not the warmth. The Aigle Parcour Boots have been handcrafted from 4 layers of natural rubber to offer comfort, strength and protection along with a high tear resistance. The self cleaning bi-density rubber sole is slightly lighter than the 3 density sole on the Iso and Vario but still provides excellent grip, making this boot perfect for those planning to be a little more active in their wellingtons. The Cambrelle® lining features sanitised protection for less odour, as does the insole which is fully washable and fast drying. The Parcour is a great boot for agility and performance. The men’s Aigle Parcours Trophee feature the 3 density rubber sole for enahnced grip and traction, along with the sanitised, odour preventative and rot proof polyester lining. The men’s Aigle Parcours Trophee add a little luxury with a full grain leather foot lining and leather detailing. 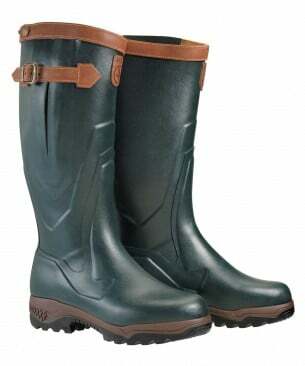 The leather trim, buckle strap and branding tabs provide the perfect the finishing touch to these stylish yet practical men’s wellingtons from Aigle.